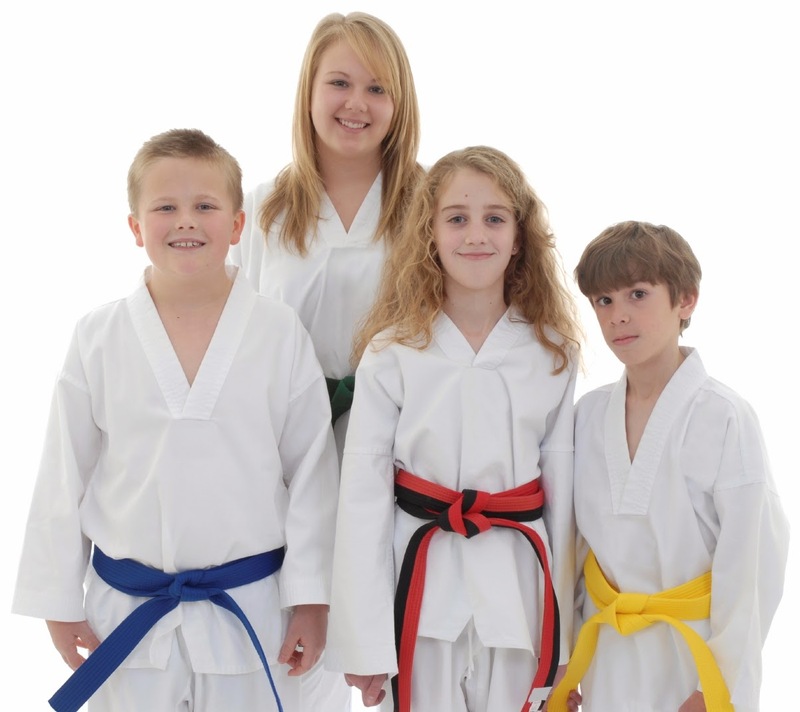 We’ve all dealt with “phantom injuries” from kids in our martial arts program that prevent them from sparring. You know, the ones with generic unprovable symptoms that tend to show up right when it is time to put on sparring gear are then miraculously healed when dodgeball comes around? Lets talk about what to actually do about that. You have to approach it from this understanding: Sometimes, kids don’t want to tell you the real reason they are upset, scared or nervous. Left unchecked, this will transfer into adulthood. How many adults have you met that mask their problems with excuses? So with that in mind, you need to ask yourself: Why are they really scared? Well the answer seems pretty obvious: Something is wrong! They either had an incident where they were hit too hard, they were overwhelmed mentally, or they don’t feel competent in their ability to spar and are anxious about it. This is their way of dealing with that feeling. Solution: First speak to the child and see if you can get a real reason. Do this later when it isn’t fresh on their mind and in private. Ex. “Hey Billy, I noticed you don’t seem to be enjoying sparring.” Let them speak. You may have to prod a bit more, “Is there anything in sparring you feel you aren’t good at, or that you don’t like?” They will spill the beans and hopefully give you what you need to go on. Next, tell the parent what is going on, why you think it may be going on and that you are going to boost their confidence with a free private lesson. Put them one on one with you or another instructor and build their confidence with drills. After this initial problem is solved, you can address the “masking” issue. Explain to the child (and parent) that if he/she ever feels unsure about something, it is OK to talk to the instructor and let them know. 99% of the time the problem completely goes away. If you are having this issue come up frequently, check your ratio of drills to freesparring. I like to do about 80/20 drills/freesparring with beginner/intermediates because we want them to feel confident in their ability to execute techniques, block, etc.. without getting hurt. Too much freesparring will not give a chance for those who are weak sparers to build confidence. Sparring should be something they look forward to, and too many novice instructors ruin the chance to build a true love for sparring by setting weak students up to fail. If you are looking for sparring drills to boost their confidence you can check out our Facebook or endlessmartialartdrills.com youtube channel for free videos, or purchase one of our products from the worlds largest source of martial arts drills- www.endlessmartialartsdrills.com. I hope this helps you run a successful program at your school! 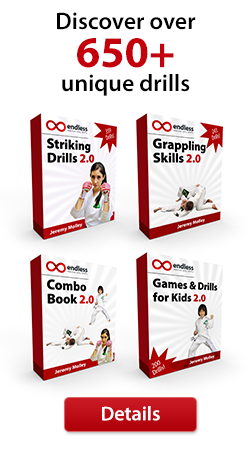 Jeremy Molley is the owner of endlessmartialartsdrills.com. For more free drills, videos, and tips become a facebook fan. How do you keep students training, happy, and paying? I have a lot of videos on my endlessmartialartdrills.com youtube channel about this. I'm sure you've heard students complain about having to spar lower ranks, or people who aren't as good as they are and I want to shed some light on this process and why an important part of your training is sparring with people who aren't as good as you are. A. Someone much better than you. This will saying phrases such as "WOW! How did you hit me with that! That was crazy! Wow I can't even keep up with you!". It teaches you the ability to "survive" a tough sparring round with someone who is clearly dominating and keep your head under pressure. It may be inspirational, and a test of your survival mentality, and an important part of your training occasionally, but you will need more than this type of training to improve or you will quickly become frustrated and not improve. B. Someone of equal or similar skill. This is where you take the techniques and strategies you have been practicing and try to apply them on someone your same rank/ability. It will be a decent challenge for you, and some strategies/techniques will work and others may not. C. Someone clearly less skilled than you. This could be someone smaller, shorter, younger, less experienced, older, etc.. The benefit of sparring with someone like this is that you can relax and work on concepts and techniques that you aren't smooth or skilled enough with yet to be able to pull off on a different partner. 2.. Use only your left hand, or bad side (opposite fighting stance). 4. Spar at medium speed and move at medium speed, meaning do everything half speed. It will be difficult to hit them and difficult for you not to get hit. This helps also helps them become better in the process. 5. Only use certain techniques. Techniques that are difficult to land or what we would call "low percentage" will be very difficult to work on with someone of even or greater skill. 6. Slowly work your problem areas such as keeping your guard up, freezing after a technique or combination, etc.. pick these rounds to focus on those type of issues. 7. Counter fighting. In order to counter a technique you need to see it coming or know it is coming and there is no better way to drill or work on that than with someone not as skilled as you are who is probably telegraphing, slower, etc..
8. Coach or help them with something you struggled with and see them doing. This will force you to actually articulate what you were doing incorrectly and explain the solution. As you know, teaching martial arts makes you a better martial artist by forcing you to focus on the details! Now remember that beginners are not your punching bags, and you cannot dominate them and ruin their training experience. All these challenges must be done in a respectful manner, and good spirit, allowing your partner to improve also and keep their own training fun as well. I hope these tips will help you in your school and benefit your students. How do you keep students training, happy, and paying? I have a lot of videos of this on my endlessmartialartdrills.com youtube channel about this. Understanding this process is the key to maximizing your enrollments. I hear a lot of school owners talking about how they need more students, but they don’t fully understand the whole process. I’ll hear school owners talk about needing more leads/marketing, when really they need to maximize systems for each step of the sales process. This video will give you an overview of how that process works. How do you keep students who convert to full time training, happy, and paying? I have a lot of videos of this on my endlessmartialartdrills.com youtube channel about this. Fact: . All the marketing on the planet, and the greatest sales presentations won't help you if your classes are lame. Some will disagree, but I think having an instructor who can teach a phenomenal class is probably the single most important thing you can do for your school. Before you say, "well what about marketing, you wouldn't have any students!" Yes marketing helps get the word out about how great your program and classes are, but lets be realistic- your classes are your product. If you had to put a white belt in charge of either marketing or teaching, which one would be more disastrous? If you completely stopped all marketing for a few months you would notice, but it wouldn't be the end of the world. Let a white belt teach all your classes for just a few weeks and see how that goes for your business. Now that's not to say that some white belts aren't natural teachers or you have to be highly skilled to teach a great class, and I am certainly not saying you shouldn't market; I'm just making a point that teaching great classes is very important to your bottom line. Classes are your content - its what keeps them coming back. Have you ever had a bad teacher in school and you ended up dropping the class or making bad grades? My 4th grade teacher Mrs. Green made me hate Science for years. In those early years I could have invented the flying car or something - you never know. An instructor with poor teaching skills is detrimental to your program and to your students progression. So how do you tell if you or your staff are doing a good job teaching? The obvious indicator is watching your dropout and enrollment rates. But, as a manager you must "inspect what you expect". Evaluate your staff frequently and give them feedback. If it is just you teaching, film one of your classes and go back and watch it from your client's perspective. Think about why they came to class and what they are looking for. Put yourself in their shoes, or put yourself in the parent's shoes watching from the lobby. Second, get feedback from your students. Simple email surveys or a handout survey that they fill out once a month asking them what they like about your classes and where improvement is needed. Keeping the surveys anonymous can provide better feedback. 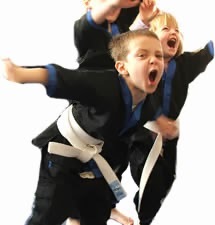 What defines a "great" martial arts class? A class where the students leaving smiling, sweating, sore, and wanting more. A great class will build skill, and increase retention. Remember, nobody cares about your rank, how many medals and trophies you have won, or how you are undefeated in MMA. People want to come to phenomenal classes that provide the benefits they are looking for and classes that they look forward to going to again! 1. Simply do it. If you fail to plan, you have planned to fail. I have heard instructors say things like , "oh I don't need a lesson plan", or "its all in my head", etc.. these are usually the same instructors who think that the reason they only have 10 students is because they are an "elite" school. Seriously, if you want to be a professional you have to act like a professional - and professionals always have a plan! 3. Synergy. You want everything in your classes to flow and work together around whatever your central theme is. 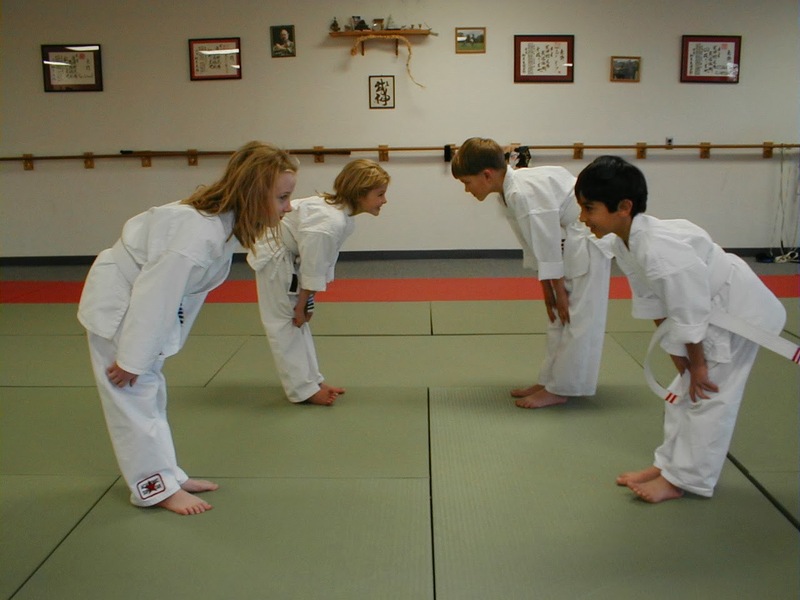 Example: The week theme is Sparring and its a kids class of beginner and intermediate students age 7-12. Ok, you know the beginners have to learn the 4 corner blocking set because its part of their curriculum, and the intermediate students have to learn a jab cross round kick combination. You do a warmup that involves running across the training floor executing 2 blocks for beginners, and a jab cross for the intermediates. During the stretch you can talk about the different uses for the blocks and the jab cross during sparring. Next you could practice a few basic kicks in place, making sure the intermediates perform a round kick. Next everyone could grab a partner and some mitts and for a few minutes beginners will swing the mitts at their partner and block the mitt with one of the blocking techniques and immediately counter attack with a cross and Intermediates will counter with a jab cross round kick combo. Next you could spar and one of the drills they perform will involve a jab cross round but changing levels, punching high but kicking low, and vice versa. To end class we will play a game of battleball and when they get hit they must execute a jab cross round kick on the heavy bag in order to come back in and play again, and the beginners have to come to you and you swing a blocker that they have to use their blocks against. Do you see where this is going? You did one technique many different ways, everyone had fun, and everyone fully understands the combination, multiple uses for it, and got see it in several situations. Now I don't normally just work on one thing for an entire class, but I find if you start your lessons plan with 2 or 3 main points that are consistent throughout the class you will be surprised how easy it is to teach a class that people leave with those techniques in their muscle memory- and they weren't bored during the process! 4. Don't be afraid to throw your lesson plan out the window. Sometimes you plan everything out perfectly beforehand and things just go crazy. Over 50 show up, only 2 students show up, the kids are all jacked up on mountain dew because school let out early, your assistants don't show up to help, etc.. A good instructor is able to recognize when something isn't working and knows when its time to shift gears and try plan B! 5. Plan more activities/drills than you intend to do (Plan B). One of the biggest mistakes I see newer instructors make is when they run out of activities (because they flew through everything too fast for whatever reason) they usually stand there with that look...the look of "what the heck am I going to do now". After years and years of experience teaching I have learned that it never hurts to write down 1 extra drill/activity on your lesson plan in case you fly through everything. ^ Here is a kickboxing mitt drill you can try out in your classes! 2. Your belt system and curriculum. Students should have clear goals and time frames of when they can expect to test for the next rank- none of that "I'll test you when I think you are ready" stuff. Students should be earning stripes on their belt in between belt ranks and it should be presented as a big deal, not just something you slap on their belt just for showing up. Your curriculum should get gradually more challenging as time goes on, and I recommend you change your blackbelt curriculum up each quarter. They should always be learning something new! I see too many schools that wonder why they can't keep blackbelts training when they don't even have new curriculum for the blackbelts to learn! 3. Offer an Instructor program, Demo Team, Leadership Team, etc.. Find your "quitter rank"- the rank that most students tend to get demotivated and want to quit. Most students tend to level out their interest after the excitement of sparring has worn off and this will be the perfect time to introduce them to a leadership program, instructor program, or demo team. It gets them fired up again and will keep them training through the hump. 4. Stay on that attendance! You should not only be tracking attendance, but have a strict attendance call/postcard/email system. First you need to know when to expect students in class- assigned classes. This lets you know when students are absent. Next, you need to setup a system to call them, email them, facebook, or send them a card right away when they are absent. For every class a student misses it becomes exponentially harder for them to come back. Life gets in the way, embarrassment, now they are out of shape, so and so passed them up in rank, they don't have enough classes to test, etc.. excuses excuses. Make the call and do what it takes to get them back in class as soon as possible before it becomes a bigger issue. 5. Have social events - Offer social events such as seminars, parties, picnics, tournaments, etc.. Your students should feel like one big family! 6. Have special classes for other topics/styles- You may not want to become a brazilian jui-jitsu school, a caporiera school, or teach the samuari sword in your classes but your students do want to learn this stuff. Why not offer a once per week class that focuses on something that you don't have time for, or can't fit into your normal classes? If you have to, hire an outside expert to teach this one class. If you aren't teaching the style(s) your students want to learn- they may just go elsewhere to learn it. 7. Don't EVER let students get behind. Once a student gets behind, its just a matter of time before they quit. Do whatever it takes, extra help, private lessons, encouragement, etc..
8. Make a connection with them. Get to know them, find out what they like, where they work, know their family, ask them questions, etc..Tell them how much you appreciate them! 9. Give shout-outs. Every week we mail out "awesome cards" and we hand write a postcard telling them about something they did that was awesome. Once a week post a photo of someone doing something awesome. Recognize students in front of the class for their accomplishments! Tell them how well they are doing, and most important for younger students- go and talk to their parents about how well they are doing. It took me thousands of dollars, hours of time, traveling all over, reading books and magazine, seminars, and years of experience to figure out the formula to better retention- and here it is right here. Act on it! I just finished my stats for one of my locations for 2013 and my retention rate was 93%. That means out of all the students I signed up since January of that year, by Dec. 31st - 93% of them were still actively training. Obviously we are on to something here! You can't stop all students from quitting, after all people move, people lose jobs, etc.. but it is much cheaper to keep the students you already have than to market for new ones. I urge you to check out our youtube channel for free drills and tips and check out our endlessmartialartsdrills products- my staff uses them every single day and it is one of the keys to our high retention!